This week on Science on the Radio Dr Marvin Druger will discuss the great Leonrado da Vinci. 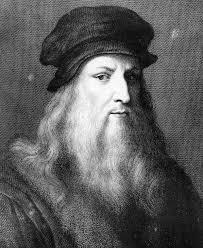 Most of us are aware of Da Vinci's stunning works of art, but did you know he also made many contributions to science? Hear about his contributions to the military, air travel, and anatomy this week on Science on the Radio. Dr. Marvin Druger discusses Leonardo da Vinci.